Opinion: FBI Headquarters Should Stay in Washington D.C. 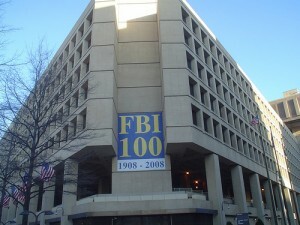 The FBI lists its official address as 935 Pennsylvania Ave. NW, as if one could wander by the angular, concrete, block-size headquarters without noticing the J. Edgar Hoover Building. The aging 11-story monstrosity — an especially ugly example of the Brutalist movement in architecture — is nearing the end of its life, and not even preservation experts want to save it. But that doesn’t mean the bureau should leave the District. The FBI’s requirements have shifted with time: Digital records have negated the need for floor upon floor of fingerprint files, while staff increases have led to workers being scattered across more than 20 annexes in this area alone. The thousands of Hoover Building staffers who spend their days in its drab corridors would almost certainly love a building filled with natural light and less linoleum. Posted: 3/4/13 at 8:22 AM under FBI, News Story.